The Qwirkle Board Game is one of our family favorites. It is one of those board games that you are going to want to play again and again. 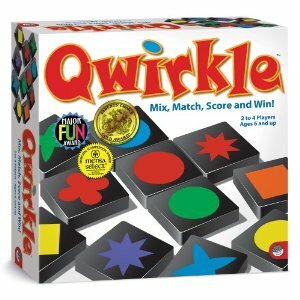 Qwirkle is easy to learn and suitable for both children and adults. My 7 year old son enjoys it as much as the grown ups! This is a great chance to get it at 53% off for just $16.57 and free Shipping if you have Amazon Prime. HOT: 3 Quart Crock-Pot Slow Cooker just $12.99!